Optimum site yield through creative design and practical built form. This philosophy characterises our approach to design. 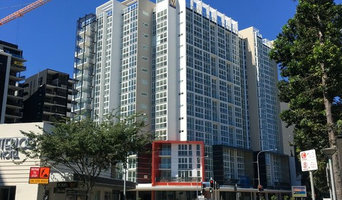 As architects servicing the development industry we understand the impact that design has on project success. In the context of any commercial development optimum means the maximum yield that can be accommodated on-site whilst adhering to all principles that constitute sustainable and good urban design. We apply this design philosophy to all our projects. 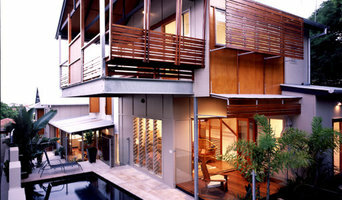 Biscoe Wilson Architects is a studio based architectural practice in Albion, Brisbane, with extensive experience in the planning and design of a broad range of residential architecture, education architecture, industrial architecture, commercial architecture, interior design, master planning, and civic projects – many of which have received peer recognition through architectural awards. 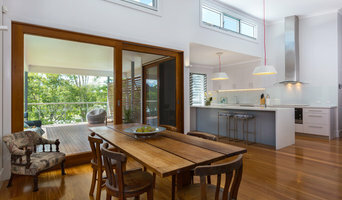 Ashcroft Architects is a private practice located at Redland Bay, QLD, specialising in residential architecture from small renovations through to luxury multi-million dollar residences. AV Image are an Australia based architectural visualisation studio. Our focus is on photo realistic 3D Interior and Exterior Renderings & 2D/3D Floor Plans for development applications and marketing material. We have over 12 years experience in the field of 3D visualisation and animation and strive for the highest level of quality on each and every project we work on. Please view our portfolio for examples of our work or contact us today if you would like further information on the services we offer. 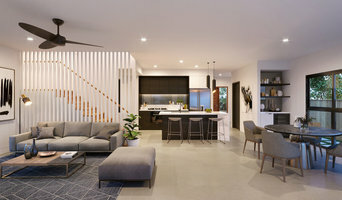 Medek Architecture is a Brisbane-based architectural practice with experience in Residential, Heritage, Institutional, Interior, Commercial and Multi-Residential projects. Bruce Medek's strong design talents, ability to accommodate client's needs and desires, experience and in-depth knowledge of construction, industry practice, contracts and standards, along with a commitment to the architectural profession, has provided him with a formidable reputation. 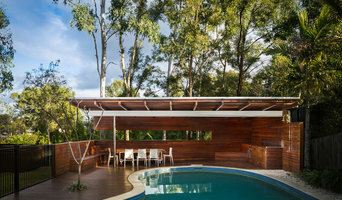 Bruce established Gall and Medek Architects in 1995 with Jim Gall - a practice which in its 14-year history saw the successful completion of many projects on a range of scales. The practice was recognised by numerous professional bodies as well as placing highly in both national and international competitions. The practice of architecture has always remained a core focus for Bruce, but he has also applied himself to the promotion of the profession. Since late 2002, this interest has led to expanding roles within the Institute of Architects; he became the youngest elected Queensland President of the AIA in 2008. His post-presidency involvement has continued as an elected member of the Board of Architects of Queensland, as well as a member of the Contrac Consultative Committee, a group charged with reviewing new and existing contracts. Outside of architecture but aligned wuth a desire for a healthy enviroment, Bruce has been a member of the Board of Keep Australia Beautiful Queensland, since 2009. This non-for-profit organisation administers many community projects, including Tidy Towns and Clean and Healthy Beaches. Baber Studio is an award-winning architecture and design practice established by partners Kim and Monique Baber. Assimilating notable local and international experience, Baber Studio have received critical acclamation and awards for their delivery of commercial and residential projects. Our design approach is client focussed. We treat each project specifically, according to the brief, user group and physical context. Our practice prioritises a process in which addressing the user demands, developing insightful and innovative ideas, and realising the expectations. Studio Schofield is a newly established architectural practice with an emphasis on providing innovative, intelligent design outcomes for buildings through collaboration with the people that inhabit them.